•SLP Performance Part # 21044. 1998-1999 Camaro V8 SLP Engine High Flow 12HP Air Intake Box Lid Cover Black. •Gain up to 12 horsepower with an SLP High Flow Air-Box Lid. •Hot-stamped w/ a contrasting white 'SLP' logo. •SLP Performance Part # 21045. 2000-2002 Camaro V8 SLP Engine High Flow 12HP Air Intake Box Lid Cover Black. •Gain up to 12 horsepower with an SLP High Flow Air-Box Lid. •Hot-stamped w/ a contrasting white 'SLP' logo. 1990-1996 Corvette LT1 LT4 ZR1 SLP Cold Air Intake System Kit 20 HP Blackwing. •SLP Performance Part # 21028. •Includes three Blackwing® reusable, high-flow, cone-type air filters. •Fits ANY 1992-1996 Corvette LT/LT4 & 1990-1995 ZR1. Description Wake Up your 2006-2013 Chevrolet C6 LS3 or Z06 LS7 Corvette with the Legendary Blackwing®! One of the quickest and best ways to improve the performance of your 2008-2013 C6/2010-2013 Grand Sport LS3 or 2006-2013 ZO6 LS7 Corvette is to eliminate the stock air box. This easy-to-install air filter package from SLP (called the "Blackwing" for its unique appearance) out-flows the factory setup by as much as 90% and can provide up to 10 additional horsepower and 11 ft/lbs at the flywheel. The Blackwing uses a wire-reinforced, reusable and washable blue high-flow filter media that requires re-oiling (#25017 cleaning/oil kit) after cleaning for maximum filtration. The Blackwing also features an exclusive built-in flow indicator that changes color when cleaning is required. 2008-2013 Corvette C6 & Z06 Blackwing Cold Air Intake SLP 21121. •Wake Up your C6 LS3 or Z06 LS7 Corvette with the Legendary Blackwing®! •The Blackwing also features an exclusive built-in flow indicator that changes color when cleaning is required. An integral part of our GM Truck/SUV PerformancePac this cold-air induction system also yields a noticeable power increase when installed individually. NOTE: Part number 25017 filter cleaning kit is required when cleaning/re-oiling your filter. This will also fit a 1997 Camaro SS even though it is correct for a 96. This piece is as close to new as you could find. I used this for car shows only. I would pull the SS one off at car shows and put this one on. Description One of the quickest and best ways to improve the performance of your 1997-2000 Chevrolet C5 Corvette is to eliminate the restrictive stock air box. This easy-to-install FlowPac includes an air filter--dubbed the "Blackwing®" for its unique appearance--out-flowing the factory setup by as much as 90% and can provide up to 18 additional horsepower. Add in a new smooth bellows designed to replace the restrictive accordion-style factory bellows, straightening out air flow between the inlet duct and throttle body for an added increase in horsepower worth up to 23 horsepower over stock. Each bellow is constructed of high-quality, fiberglass-reinforced silicone and offers a single-rib design for flexibility. The Blackwing uses 100% synthetic filtration media called Synteq. 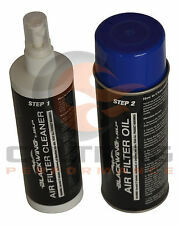 Description In order to properly clean and oil your Blackwing® by SLP Air Filter we recommend this kit. Our Blackwing Air Filter Cleaner and Oil Kit is designed specifically for the special synthetic media in the Blackwing Air Filters (unlike most other air filter which use ordinary cotton fiber). Maintaining your air filter properly will give you maximum filtration and life. Application All SLP Blackwing Air Filters. 2005-2007 Corvette C6 SLP Blackwing Cold Air Intake System Kit. •Wake up your C6 Corvette with the Legendary Blackwing®! •The Blackwing also features an exclusive built-in flow indicator that changes color when cleaning is required. Air Induction System - Blackwing Cold-Air Induction - Reusable Filter - Chevy Corvette 2001-04 - Kit. Air Induction System - Blackwing Cold-Air Induction - Reusable Filter - Chevy Corvette 1997-2000 - Kit. SLP Performance 21110E Cold-Air Induction, 1997-00 Early C5 Corvette "blackwingCOLD AIR KIT VETTE. For their protection, we ask that children do not submit information to us without the consent of a parent or guardian. Its designed for ease of installation and constructed from top-quality stainless steel for optimum durability. Use with our High-Flow Air-Box Lid (#21044 or 21045) Blackwing Air Filter (#25012B) and F-Body Smooth Bellows (#23065) for even greater horsepower increases. They replace the restrictive power robbing factory air cleaner assembly. Each kit includes custom designed air boxes and ductwork air filters and all the necessary parts for easy bolt on application. The kit is constructed from stainless steel tubing and is black powder-coated for a superior appearance. It includes three Blackwing reusable high-flow cone-type air filters and includes all the necessary hardware and instructions for an easy bolt-on installation. •Wake up your C6 Corvette with the Legendary Blackwing®! •The Blackwing also features an exclusive built-in flow indicator that changes color when cleaning is required. •Fits any 2005-2007 C6 Corvette. SLP Performance 21047 Air IntakesSLP Performance 21047 Air Intakes. Public Forums. Need to make a change?. Disclosure of Information Policy. Your credit card information is encrypted while traveling the Internet. 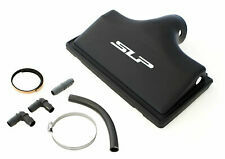 SLP Performance 21046 Air IntakesSLP Performance 21046 Air Intakes. Public Forums. Need to make a change?. Disclosure of Information Policy. Your credit card information is encrypted while traveling the Internet. Part Number: 21121. Wake Up your C6 LS3 or Z06 LS7 Corvette with the Legendary BlackwingÂ®! The Blackwing also features an exclusive built-in flow indicator that changes color when cleaning is required. 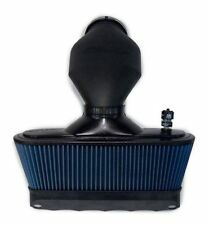 1990-1996 Corvette LT1 LT4 ZR1 Blackwing Cold Air Intake System 20 HP SLP 21028. Condition is Used. Shipped with FedEx Ground or FedEx Home Delivery. Tubing Coupler - Hump - Silicone - Black - SLP Blackwing Smooth Bellows - GM F-Body 1998-2002 - Each. Description Our Air-box Lids for 2000-2002 V8 Camaros and Firebirds are the perfect easy way to gain up to 12 horsepower! The bolt-on unit eliminates the restrictive stock baffles and resonator assembly, in turn significantly improving air flow to the throttle body. The lids are hot-stamped with a white SLP logo, and can be used with our high-performance air filter (PN:25010B) for up to 5 additional horsepower! Note: Not approved for sale or use in the state of California or other states that require a CARB E.O. # (Executive Order Number). Application 2000 2001 2002 Chevrolet Camaro SS. 2000 2001 2002 Pontiac Firebird V8. Part Number: 21111. This easy to install Bellows Kit allows our BlackwingÂ® filter Part #21110E to fit 2001-2004 C5 Corvettes including Z06 models, and Part #21110L includes this bellow kit. 2001-2004 Corvette C5. Part Number: 23065. 1998-2002 Firebird LS1 V8. 1998-2002 Camaro LS1 V8. Description One of the quickest and best ways to improve the performance of your 1997-2000 Chevrolet C5 Corvette is to eliminate the restrictive stock air box. This easy-to-install air filter--dubbed the "Blackwing®" for its unique appearance--out-flows the factory setup by as much as 90% and can provide up to 18 additional horsepower. The Blackwing uses 100% synthetic filtration media called Synteq. The fibers are extremely uniform and very small, allowing the filter to flow more air and trap smaller particles than do ordinary cotton and oiled-cotton "performance" filters. The Blackwing also features an exclusive flow indicator that changes color when cleaning is required. This is a simple bolt-on installation that requires no vehicle modifications. Description One of the quickest and best ways to improve the performance of your 2001-2004 Chevrolet C5 Corvette is to eliminate the restrictive stock air box. This easy-to-install FlowPac includes an air filter--dubbed the "Blackwing®" for its unique appearance--out-flowing the factory setup by as much as 90% and can provide up to 18 additional horsepower. Add in a new smooth bellows designed to replace the restrictive accordion-style factory bellows, straightening out air flow between the inlet duct and throttle body for an added increase in horsepower worth up to 23 horsepower over stock. Each bellow is constructed of high-quality, fiberglass-reinforced silicone and offers a single-rib design for flexibility. The Blackwing uses 100% synthetic filtration media called Synteq. Part Number: 21050. The SLP Cold Air Intake System for the TPI equipped Corvette picks up cold, dense outside air from the high-pressure area in front of your radiator and feeds it to your engine. 1985-1989 Corvette C4. Wake Up your C6 Corvette with theLegendary Blackwing®! The Blackwing also features an exclusive built-in flow indicator that changes color when cleaning is required. This is a simple bolt-on installation that requires no cutting or vehicle modifications. The Blackwing also features an exclusive flow indicator that changes color when cleaning is required. All lids are now hot-stamped with a contrasting white SLP logo. Gain up to 12 horsepower with anSLP High-Flow Air-Box Lid.